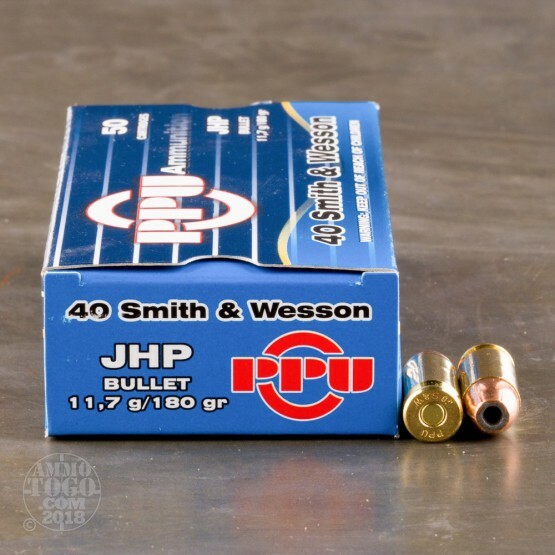 This 40 S&W cartridge by Prvi Partizan features a 180 grain projectile, the heaviest bullet weight most commonly available in its caliber. The bullet sports a hard metal jacket which assures both that it will feed reliably in a semi-automatic weapon and penetrate tough targets. The jacket has notches running down from around its tip, which serve to cause expansion to occur along a predictable plane. 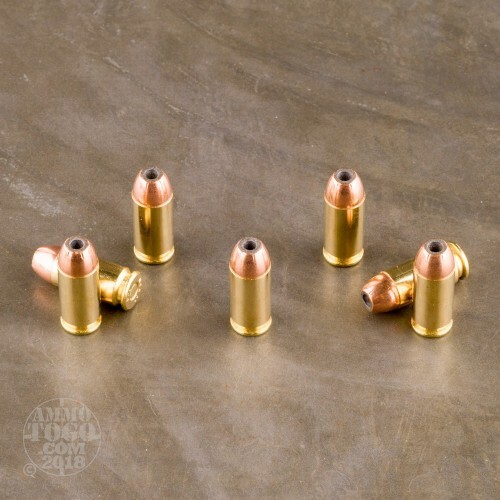 This bullet’s hollow point causes it to open up dramatically during penetration, creating a wide wound channel that is certain to neutralize a threat effectively. 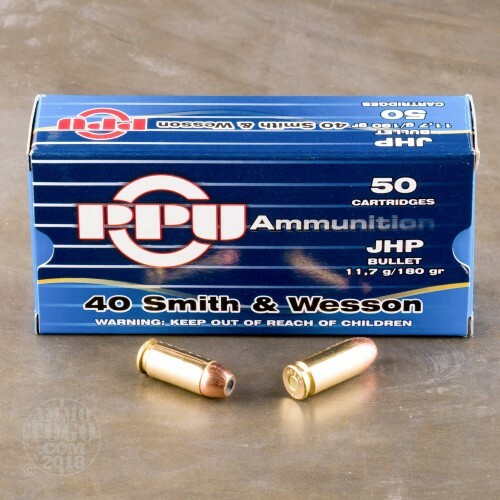 This round’s conservative price tag means that it is suitable for range training as well, a particular benefit to those who prefer to try out their personal defense loads before they would rely on them. Based in Serbia, Prvi Partizan is owned by their country’s government and supplies their military. 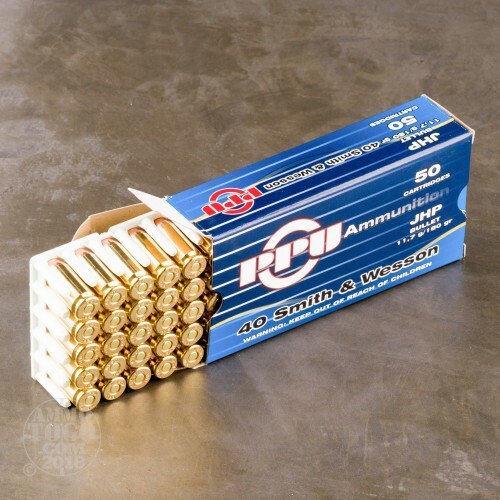 Their products’ high quality thoroughly merits their utilization by their country’s soldiers, and as such feature reloadable brass casings, uniform projectiles, non-corrosive primers, and consistently performing propellant.